Description: Join us for Open Studios, where you will have a rare chance to explore the work of our global Artist-in-Residence in their studios. This month we begin making changes to our Open Studios format! 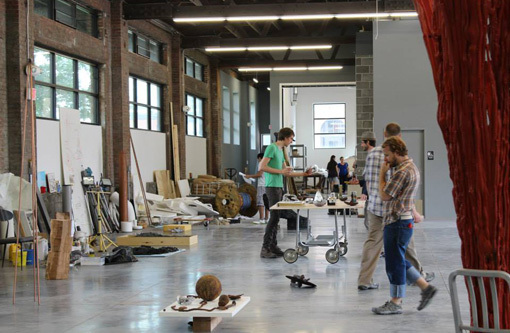 Although visitors are still allowed to come at any time during the Open Studios, we will now be offering guided tours of the artists' studios and their work led by the Bemis's incoming Artistic Director, Amanda McDonald Crowley! Tours will leave the front desk of the Bemis Center promptly at 1:00 pm, 2:00 pm, and 3:00 pm, and will last approximately 45 minutes. No RSVP required, but tour groups will be limited to 15 participants.